Transferring large quantities of data can pose some serious risks, if carried out incorrectly masses of data can be lost and never retrieved. Therefore, hiring a Data Migration specialist to coordinate any Data Migration projects is highly recommended. Data Migration requires considerate planning, expert management and maintenance. A Data Migration specialist is responsible for identifying and extracting the required data, reprograming data to be compatible with new programmes, permanently transferring data to a new data storage system, deleting any old or duplicated data responsibly and validating that every piece of required data has been safely migrated. Software and data storage systems are continually being developed and improved, consequently to be competitive in the modern-day market place, many companies will have to update their own systems fairly regularly. Data Migration specialists are playing an increasingly vital role in the ways in which companies develop and succeed in the 21st Century. At the Bridge we specialise in sourcing the best IT talent on behalf of some of the UK’s largest companies. If you are looking to conduct your own Data Migration project or need specialist IT staff, get in touch with us today. Storing data is becoming ever more complex due to the quantity, sources and nature of the types of data companies require to make informed and quick business decisions. It is the main responsibility of an ETL Developer to create and manage data warehouses that are capable of storing and organising mass amounts of data. An ETL Developer will determine what your company’s data storage needs are, design and build a capable and specific data warehousing system, extract required data and upload it to the new warehouse and test the data warehouse to assure it is compatible with the imported data. At the Bridge we get a comprehensive understanding of what our clients need by taking the time to build a constructive and consistent dialogue. 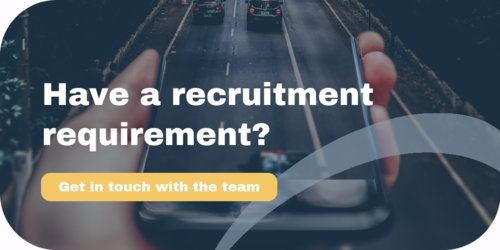 Our recruitment specialists are guided by over 17 years’ experience of working within different sectors of the IT and Cyber industries, and we understand how important finding the right candidate can be for any company, no matter how big or how small. Contact us today to find specialist ETL Developers and much more.